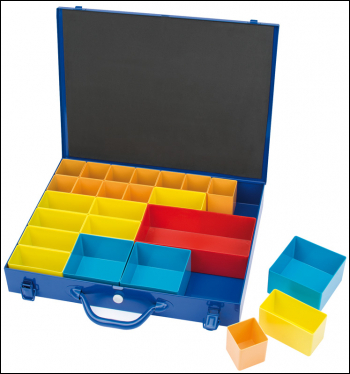 Steel cased organiser with an adjustable matrix of plastic lift-out storage compartments. Case has a carrying handle with lever latch closures and press button catch. Sold loose.